You know that feeling…. You’ve been tolerating and putting up with someone’s behaviour or poor performance at work for a long time. You have to talk to them about it but have been putting it off, hoping that they’d somehow pull their socks up. The list is long… not getting reports, monthly plans etc. in on time; not co-operating with colleagues; being argumentative and negative at staff meetings; questioning what they are asked to do as not being in their ‘job description’ and generally undermining you in your attempts to manage. Where will you start… it’s so tempting to sit them down and tell them fair and square, what it is that you’re not happy with. It feels like it could be such a satisfying thing to do… because you are irritated, annoyed and this person has sucked away so much of your time and energy. But take a step back for a moment. 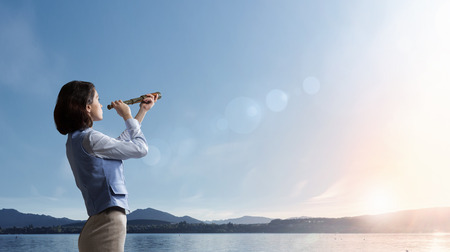 Rather than focusing on where to start, begin by looking at where you’d like to finish up. Where would you like to be at the end of this conversation? What outcome do you want to have achieved when the two of you have finished talking? What’s your Purpose in talking through your frustrations and concerns? 1. What intentions do you have towards them? Are you looking to ‘fix’ them or ‘make them’ change their behaviour or attitudes? Do you want to ‘hit and run’ – a quick dig to vent frustration or irritation? Are you trying to win or prove that you are right? Conversations tend to be more effective when we focus on purposes such as solving problems and making things better for both you and them. Conversations also work better if we have positive intentions towards the other person, if we care about or at least try to respect their goals or needs. You know this already but just to remind you again… The only aspect of a conversation you can control is yourself – what you say or don’t say, how you respond to them. What the person does or says during or afterwards is not in your gift. However, you have 100% control over how you choose to influence that person. What we know with certainty about ‘difficult conversations’ is that how you frame your key messages and respond to them is critical to the outcome. So begin by asking yourself how do you want things to be at the end of this conversation: that they are defensive and angry and even more unco-operative? Or they are a little more open to working with you to try and address your concerns. You’ve identified that you aren’t happy and can rattle off a laundry list of concerns and even have facts and evidence to support them. But think how that might land on the other person… you are trying to induce co-operation and openness…so overwhelming them with a list of their ills is probably counter-productive. Start instead by selecting just three key things that you’d like to have agreed some changes around at the end of this meeting. Clarify what the positive changes you’d like to see are and figure out a constructive way of framing these key messages to them. 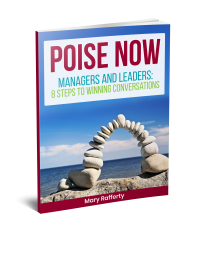 Want to find our more about managing a difficult conversation?